This chic combination can be worn together for a polished look or separately for a more casual outfit. 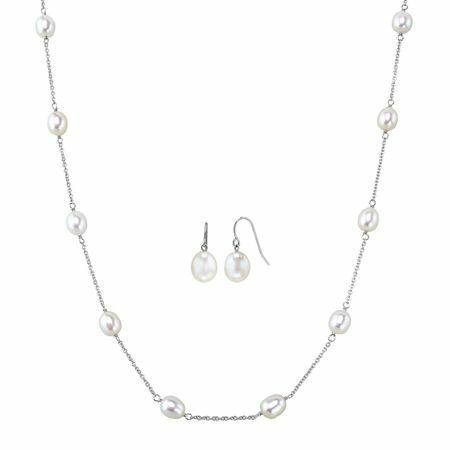 7.5-8 mm freshwater pearls are strung in stations along this dainty sterling silver chain, while 8-8.5 mm freshwater pearls suspend from simple drops. Necklace measures 17 inches long, plus a 2-inch extender for adjustable length, and features a lobster clasp. Earrings measure MEASUREMENTS and feature French wire back findings.